Learning Target: I can predict weather using weather maps. How do meteorologists use maps to show changes in temperature? How do meteorologists use maps to predict future weather? 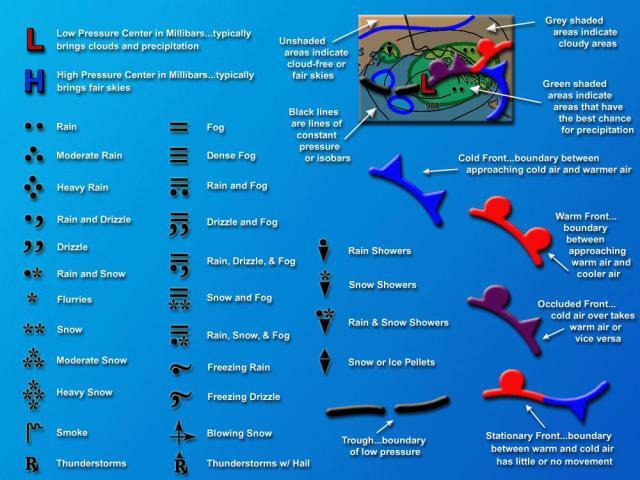 How do the icons tell us about the weather? When might some maps be more he lpful than others? With a partner, look through the maps in the Science Saurus. Discuss the symbols you see, and record them on your chart. Share out discoverings from ScienceSaurus maps. Vocabulary Game: Heads Up, Guess What?